If your oven is self-cleaning, consult the owner’s manual for instructions on how to use this feature. The self-cleaning feature works by heating the interior of the oven to a temperatureso hot that it incinerates the residue inside the oven. The self clean cycle cost less in energy cost than the purchase of a container of conventional cleaner. 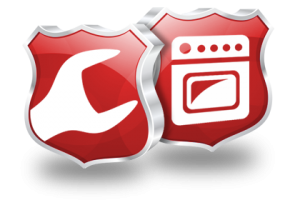 Normally, it is not a good idea to clean the interior of a self-cleaning oven with a conventional oven cleaner; however, refer to your owner’s manual or contact the manufacturer of your oven for further information. 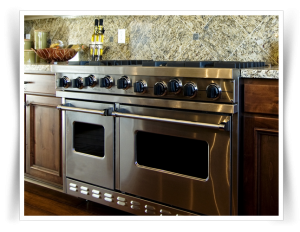 To clean a non-self-cleaning oven, use one of the many oven cleaners that are available at grocery and hardware stores. Never place foil on the bottom of the oven. This can shorten the life of an exposed bake element, cause permanent damage to the oven bottom with hidden bake elements, and disrupt the combustion air flow on a gas oven. 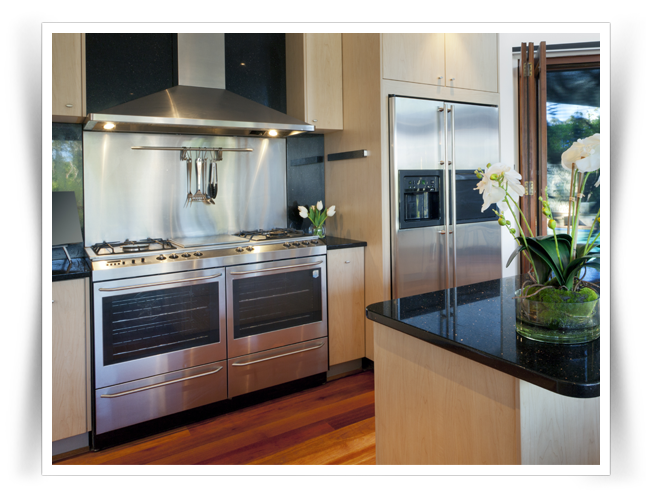 Self Clean Ranges/Ovens— Do not self clean just before the start of your holiday cooking. If it fails a day or two before the holiday, we may not be able to have it repaired for holiday use. If you want to clean before your holiday cooking, do it at least two weeks before the holiday. If you should have a failure, we have time to get it working for you before the holiday. 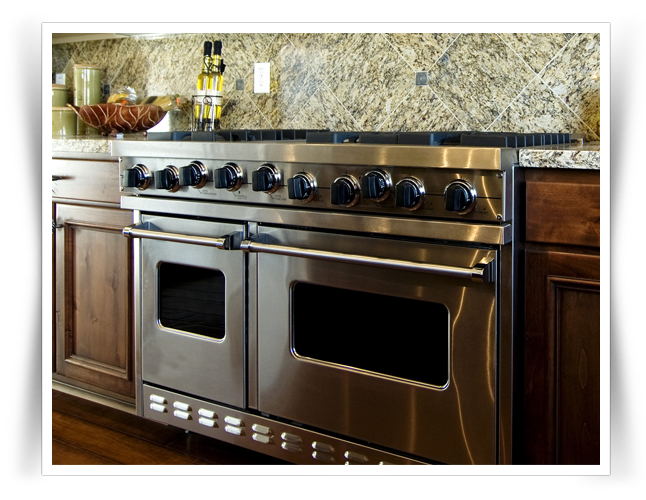 Knob care — You may be able to safely clean the knobs on your range/oven with a little dish detergent and a damp rag. But, if the numbers or lettering have worn away, you may need to replace the knobs. If you have your model number, you purchase replacement knobs for your range/oven. Light bulbs — You can replace the light bulb(s) in your range/oven. Most interior oven lights require a universal 40 watt appliance bulb, which can be found within our parts department. Many newer ovens and hoods use halogen lamps. If these are replaced, it is extremely import to replace them with the same voltage and wattage lamp. Using a higher wattage lamp can do hundreds of dollars of instant damage to the appliance. You usually need to replace the drip pans or bowls beneath the grates on a gas cooktop/range and beneath the heating element on an electric cooktop/range every 2 to 3 years. Once they’re stained, it’s usually not possible to clean them completely. Never wrap your pans with aluminum foil because this can cause a shock/fire hazard on an electric cooktop/range and will disrupt the air flow for proper flame on a gas cooktop/range. 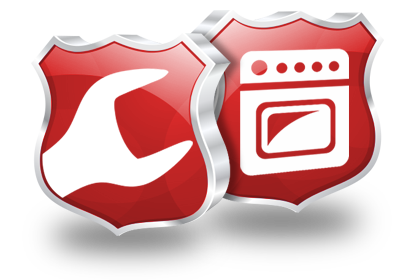 If you have your appliance model number, you can order replacement original bowls by going to the parts order center. Or, you can purchase universal bowls from our parts department.